Modern coatings must continue to meet the basic requirements, but as reserves of fossil fuels decline, how might raw material shortages be avoided in the future? X-Rays - a form of electromagnetic radiation - were first observed in November 1895 by Wilhelm Conrad Roentgen, a German scientist who stumbled upon them accidentally when experimenting with cathode rays late at night in his lab. 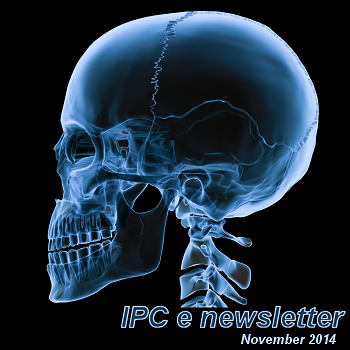 Welcome to the November 2014 edition of the IPC e-newsletter. The IPC e newsletter is distributed free to more than 4000 people around the world. The Priya Group distributes, exports and trades in chemicals, dyestuffs, pharmaceuticals and allied products. Since the inception of the group in 1976, we have become an important player in the industry, with a presence in India and many other countries. The Priya Group is also a major player in the Indian information technology industry. We diversified into IT in 1984-85, starting with components for the IT and electronics industries. Today, our IT products portfolio includes virtually all hardware components and some software titles. The Priya Group comprises two companies. Priya Limited, which has divisions for chemicals exports and IT distribution; and Priya International, which is an indenting agency for specialty chemicals. Indian paint industry is likely to surge from the current level of about Rs. 40,600 crore to about Rs. 62,000 crore by 2016 witnessing a breathtaking double-digit compound annual growth rate (CAGR) of about 20%, apex industry body ASSOCHAM said. The factors that have fuelled the paint industry's growth are the rise in disposable income and education, increasing urbanization, development of the rural market and various launches of many innovative products. As per the ASSOCHAM recent report on Indian paint Industry: 2014 reveals that India is the second-largest consumer of paint in Asia. Top players include Asian Paints, Kansai Nerolac Paints, Berger Paints, AkzoNobel, Nippon Paints and Shalimar Paints, adds the report. AkzoNobel Performance Coatings has launched an innovative, bright metallic powder coating that provides a sustainable and cost-effective alternative to chrome plating. Interpon Cr, part of AkzoNobel's Interpon powder coatings range, combines a chrome-like finish with the proven performance of a two-coat powder coating for applications such as furniture, lighting and other interior fixtures. The unique combination of a highly reflective base coat layer with a clear top coat also offers outstanding resistance to finger marking. "Special effect finishes are continuing to grow in popularity and metallics are very much in demand," explained Mark Reekie, Global Marketing Manager - General Industrial at AkzoNobel Powder Coatings. Nellore: Indian Farmers Fertiliser Cooperative (Iffco) is all set to establish a titanium project to produce titanium sponge at its Kisan SEZ located at Racharlapadu in Kodavalur mandal of SPSR Nellore district.The Iffco managing dir-ector, Dr U.S. Awasthi, has submitted a proposal to Chief Minister N. Chandrababu Naidu last week to setup the project. Iffco has earmarked 400 acre in the SEZ and it will invest `2,500 crore on the project which can provide direct employment to 1,000 people. The titanium sponge is essential material for the aerospace industry and it is also used for manuf-acture of all types of pai-nts, glazed papers, plasti-cs, printed fabrics and fl-ooring materials. Iffco identified a Ukrainian firm for technology and engineering for the project. The raw material for the production is limonite and it will be extracted from beach sand. According to sources in Iffco, ilmenite is the major feed stock for the titanium project and it is available aplenty in the beach sand obtainable along costal stretches of Odisha, AP, Tamil Nadu and Kerala. The integrated polyurethane manufacturing facility will host a MDI (methylene diphenyl diisocyanate) splitter for processing crude MDI, a core component in the manufacture of polyurethane products. BASF has inaugurated its new large-scale chemical production complex at Dahej in Gujarat, India, the company announced on Tuesday. With a project cost of INR 1,000 crore (approximately €150 million), the site represents BASF’s single largest investment in India. Softening crude prices are expected to offer some respite to the company’s input costs. HYDERABAD|BANGALORE: After Andhra Pradesh succeeded in attracting top two-wheeler maker Hero MotoCorp to set up a manufacturing facility by offering uninterrupted power supply and other incentives, its neighbouring states consider Andhra a threat to their investments. Leading paints manufacturer Asian Paints has already showed interest in establishing two facilities in Andhra by dropping its plans for Karnataka, while many power-intensive manufacturing units in neighbouring states are in parleys to shift lock, stock and barrel to Andhra, said three persons in the know. "Encouraged by the proposed incentives and uninterrupted power supply, Asian Paints wants to set up two large projects — in South and north coastal Andhra regions — involving over Rs 2,000 crore of investments each," a senior state bureaucrat said. The company has sought at least 150 acres each for these two proposed projects, the person added. Asian Paints Ltd has now announced that Badan Koordinasi Penanaman Modal ("BKPM"), the Investment Coordinating Board of Republic of Indonesia, has approved the aforesaid investment application and has issued a principal license for setting up manufacturing facility. Further steps to be taken for setting up the greenfield operations in Indonesia will be subject to necessary regulatory and other approvals. Berger International Limited (BIL), Singapore, a subsidiary of Asian Paints (International) Limited (APIL), Mauritius, a wholly owned subsidiary of the Company, had on August 22, 2014 filed an application for investment approval with the Regulatory authorities at Jakarta, Indonesia for setting up a paint manufacturing facility as part of a greenfield foray into Indonesia<more>. Kansai Nerolac Paints today reported 40.62% increase in standalone net profit at Rs 72.66 crore for the second quarter ended September 30. The company had reported net profit of Rs 51.67 crore in the July-September quarter of 2013-14 fiscal. Net sales during Q2, 2014-15 were at Rs 915.18 crore, an increase of 17.18% as compared to Rs 780.96 crore in the year-ago period, the company said in a BSE filing. Overall expenses during Q2 stood at Rs 820.19 crore, up 14.52% as against Rs 716.15 crore in the same quarter last year. During the half year period ended September 30, 2014, Kansai Nerolac reported net profit of Rs 145.64 crore as against net profit of Rs 112.60 crore in the same period a year ago. MUMBAI: Kansai Nerolac Paints today said it has entered into a strategic marketing tie-up with leading e-tailer Flipkart ahead of festive season. The Exchange had sought clarification from Kansai Nerolac Paints Limited regarding news item captioned "Kansai Nerolac ties up with Flipkart". The Company has clarified that "Our Company, Kansai Nerolac Paints Ltd. (KNP) is associated with Flipkart in an endeavor to engage the consumer with its range of products online. We have also offered a discount for the festive season on booking the painting service. Given the sensorial nature of the category, which is predominantly Do It For Me, KNP does not envisage this move as material change in the company s nature of business. KNP continues to invest aggressively in the brick and mortar retail to enrich the consumer experience. i.e. selling product through dealer/distribution. Association with Flipcart is mere marketing association to promote our brand. It is promotion and painting service in normal course of business having no material effect. There is no exclusive strategic tie up.Hence the Company had not considered it necessary to intimate the Exchange in terms of Clause 36 of the Listing Agreement". Jenson & Nicholson (India) said its net loss for the quarter ended September 2014 has widened to Rs 10.37. It reported a net loss of Rs 9.55 million in the same quarter previous year. Net sales for the quarter declined marginally 1.86% to Rs 128.67 million, compared with Rs 131.11 million for the prior year period. Berger Paints India Ltd has informed BSE that the Company’s Powder Coating plant at Maharashtra has commenced trial production on October 01, 2014. A meeting of the Board of Directors of Berger Paints India Ltd will be held on November 04, 2014, to consider the Company's Unaudited Financial Results for the quarter ended September 30, 2014 (Q2). KOCHI: Berger Paints India Ltd, which has introduced 'Express Painting', a solution for faster painting services in Kerala and West Bengal, is setting up a training academy for painters at Kochi to upgrade their skill, a top official today said. SHANGHAI, CHINA — Axalta Coating Systems, a leading global supplier of liquid and powder coatings, announced the renewal of its strategic partnership with the Huajia division of the Yongjia Group under a new name, Axalta Huajia Coatings. The reaffirmed joint venture reinforces the company’s leading position as a powder coatings manufacturer and innovator through continuously providing quality powder coating solutions designed to meet the needs of local and global customers. Akzo Nobel, the global paints and Coatings Company and the makers of Dulux Paints announced two initiatives. The Company introduced ‘Dulux Visualizer’- an innovative and user-friendly app in the paints industry that uses augmented-reality technology to gratify the evolving needs of the new age consumer and also released the latest edition of its annual global study of colour trends, ‘Colour FuturesTM 2015’, unveiling Copper Orange as the Colour of the year 2015. The membranes are used in water purification industries, milk concentration and transparency of fruit juices. In addition to high efficiency, separation through filters has lower operational costs. Therefore, the wide application of the devices is observed in various industries. The aim of the research was to reduce the blocking of ultrafiltration membrane made of emulsified polyvinyl chloride by using titanium dioxide (TiO2) nanoparticles. Being more hydrophobic is the problem of emulsified polyvinyl chloride in comparison with other polymers, including polyether sulfone. The use of titanium dioxide nanoparticles increases hydrophilicity of the synthetic membrane, and it prevents organic materials from sticking to the surface of the membrane, so the pores of the membrane are not blocked any more. Therefore, the addition of nanoparticles increases porosity and the flux of water and protein passing through the synthetic membrane. This membrane has even better performance than the similar polyether sulfone membranes. The new research report "Coil Coatings Market by Type (Polyester, Fluropolymer, Siliconized Polyester, Plastisol, and Others), by Application (Steel & Aluminum), and by End User Industry (Building & Construction, Appliances, Automotive, and Others) - Global Forecast to 2019", published by MarketsandMarkets, report analyzes the global coil coatings market with respect to market drivers, opportunities, and trends in different regions. The current market value of the global coil coatings market (2013) is about $4,449.02 million and is estimated to reach $6,410.44 million by 2019, at a CAGR of 6.30% between 2014 and 2019. Mr. Robert Molenaar, Non-Executive Director, has resigned from the Board of Akzo Nobel India Ltd, w.e.f. September 09, 2014.